I have a kitchen helper. Maybe you do too. 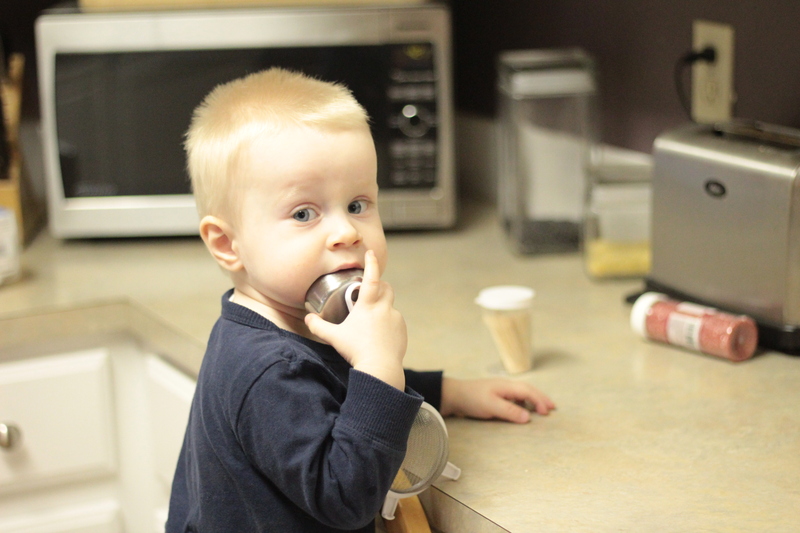 My kitchen helper is my 18-month-old son Matthew. 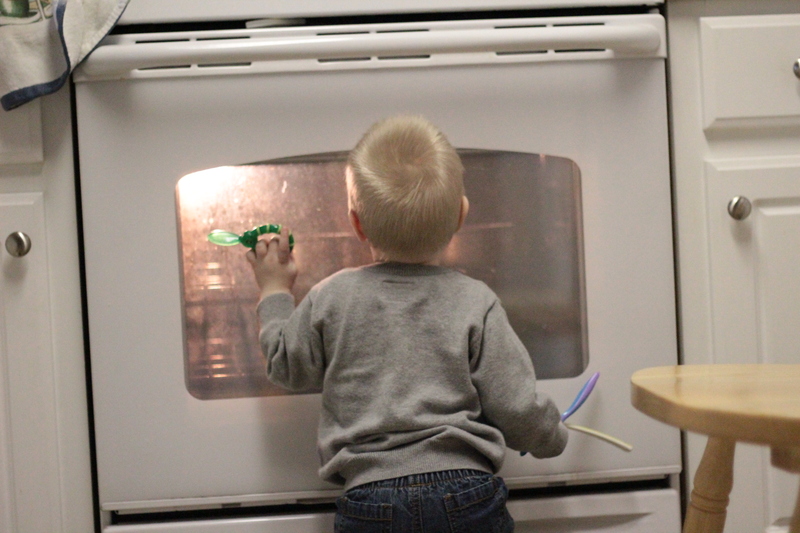 For about the last 4 months now, he’s been interested in what I’m doing in the kitchen, but can’t actually see what I’m doing–which is apparently very frustrating for toddlers. You know, to know that someone is doing something fun, but they aren’t a part of it. This past week, he’s helped me make a cake, sandwich cookies, and now bars. He’s getting to be a pro, and pretty soon, he’ll pass me up. His new thing is looking at what’s baking in the oven. And he usually cleans the outside of the door, which is super helpful. I mean, tongues aren’t just for talking. But one of my favorite things about baking is giving my little man a sample. 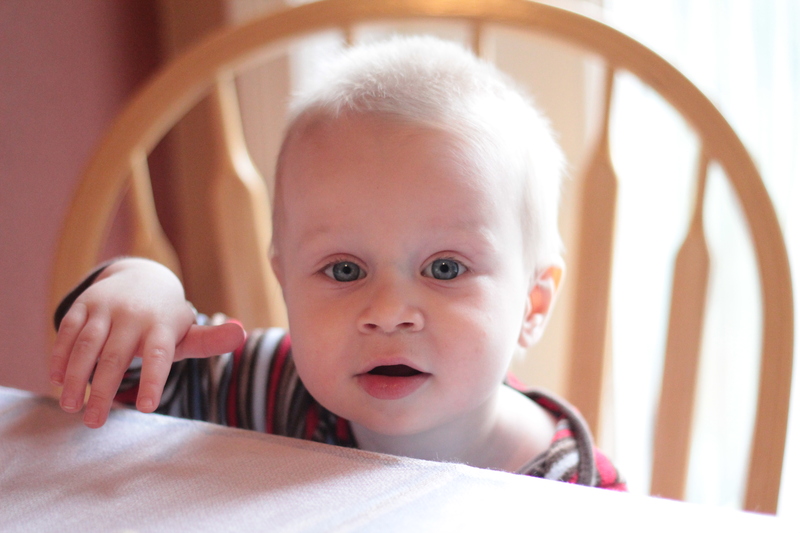 I know he’s ready for dessert, because when the oven timer dings, he pulls himself up on the chair, bangs his little hands on the dining room table, and opens his mouth like a little bird. And after his first bite, it kills me when he laughs and opens his mouth wider, because one small bite isn’t enough. (He’s probably figured out it kills me too, because he always gets a little more than I originally intend to give him.) Oh, he’s definitely my son! Preheat oven to 375 degrees. Grease and flour a 9 x 9 – inch square pan. Using a whisk, combine the flour, baking soda, and salt in a bowl. In a mixing bowl with a paddle attachment, cream the butter, sugar, and vanilla until light and fluffy, about 2-3 minutes. Scrape down the bowl. Add egg and mix until combined. Slowly add the flour mixture and mix on low speed until there are no more traces of flour. Add the Andes mints and 1 cup chocolate chips. Press dough into mixture (it will be thick). Bake for 20-25, or until edges are golden and toothpick inserted comes out clean. 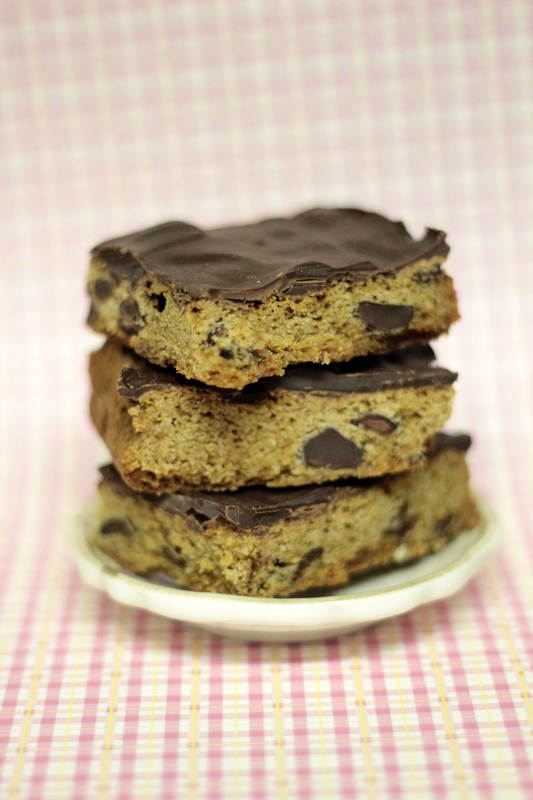 Remove from the oven and sprinkle remaining 1 cup chocolate chips. 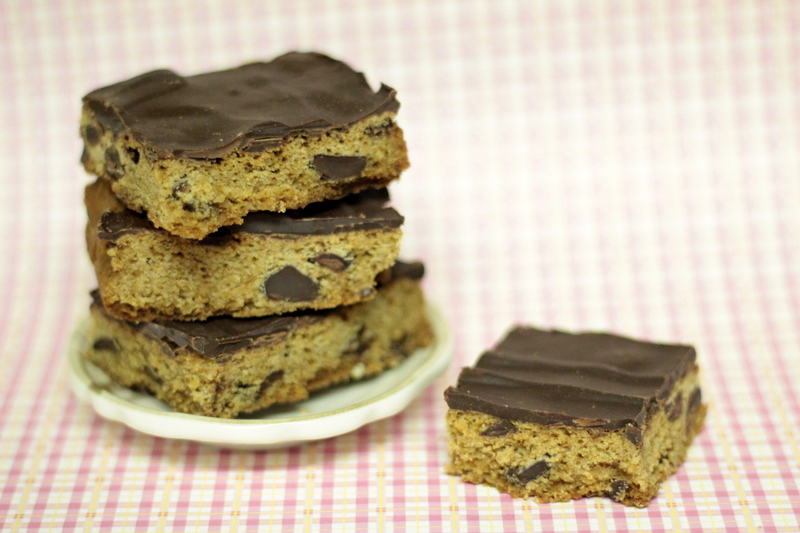 Wait 1 minute, and using a spatula, spread the melted chips evenly across the bars. Once the bars have fully cooled, put in the fridge to harden the chocolate top. 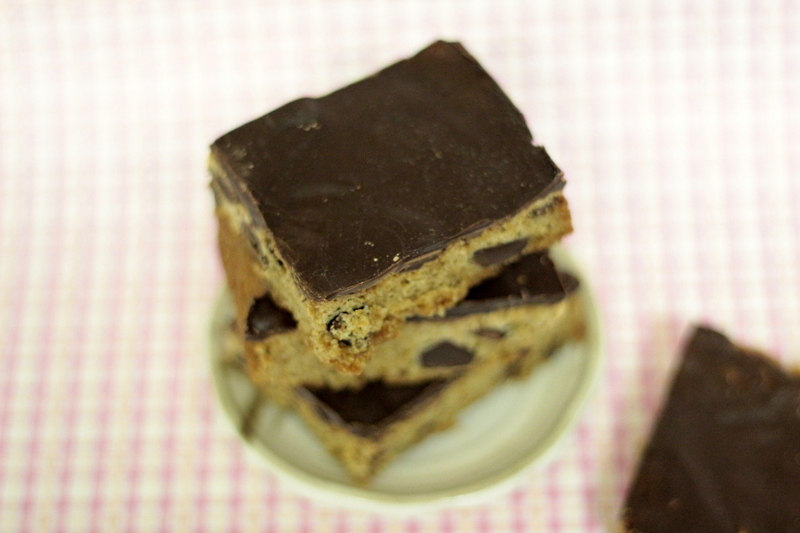 Remove from fridge and cut into squares. Store any leftovers in an airtight container for up to 3 days. Recipe Source: my fabulous grandmother, Viva–I miss you terribly! So cute! Matthew needs an apron! Oh that’s such a great idea! I think I just might make him one. :) Thanks Sara!